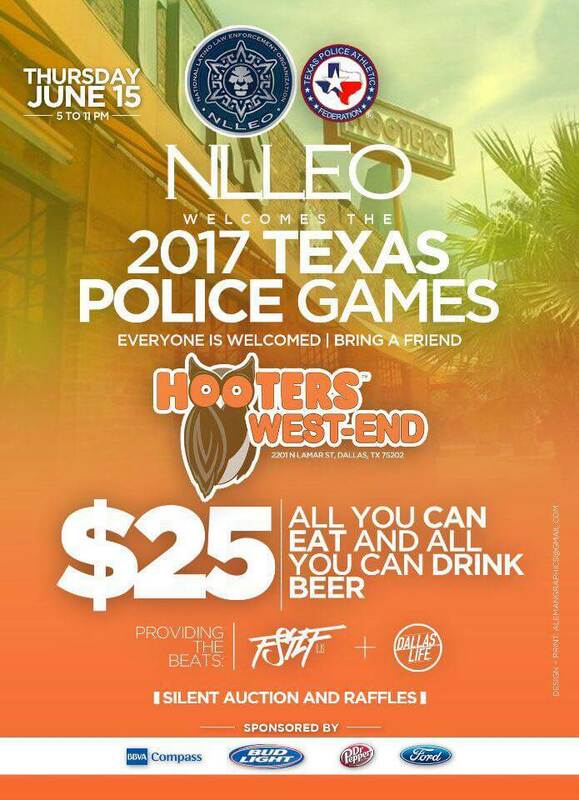 Come down Thursday June 15th and join us at Hooters for the 2017 Texas Police Games! Everyone is welcomed, feel free to bring a friend! $25 per person for all you can eat and all you can drink beer!